Infinite Unknown reader R.D. donated $20. Dandelion as a medicine was first mentioned in the works of the Arabian physicians of the tenth and eleventh centuries, who speak of it as a sort of wild Endive, under the name of Taraxcacon. In this country, we find allusion to it in the Welsh medicines of the thirteenth century. Dandelion was much valued as a medicine in the times of Gerard and Parkinson, and is still extensively employed. Dandelion roots have long been largely used on the Continent, and the plant is cultivated largely in India as a remedy for liver complaints. Daniel Mowrey PH.D, author of “The Scientific Validation of Herbal Medicine” states, “Dandelion heads the list of excellent foods for the liver.” The herb has been used for centuries to treat jaundice and the yellowing of the skin that comes with liver dysfunction, cirrhosis, hepatitis and liver disease. 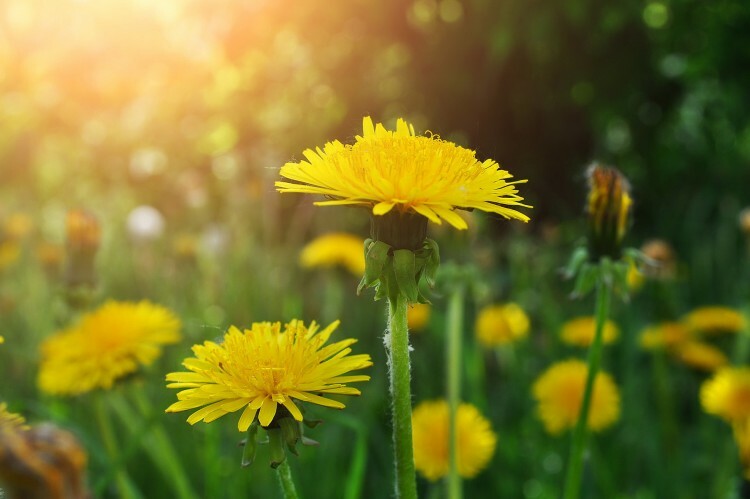 Modern naturopathic physicians use dandelion to detoxify the liver and reduce the side effects of prescription medications. But liver function isn’t the only use of this nutritious plant. It is also used to treat infections, swelling, water retention, breast problems, gallbladder problems, pnuemonia and viruses. 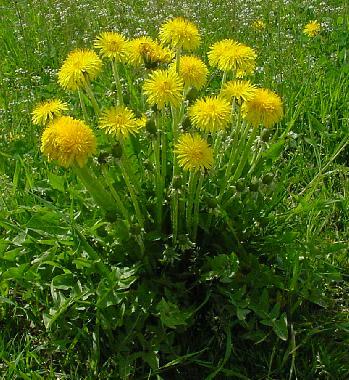 Studies have shown that dandelion stimulates bile flow and has a mild diuretic effect. Dandelion is on the FDA’s list of safe foods and is approved by the Council of Europe. The chief constituents of Dandelion root are Taraxacin, acrystalline and Taraxacerin, an acrid resin, with Inulin (a sort of sugar which replaces starch in many of the Dandelion family, Compositae), gluten, gum and potash. It contains substantial levels of vitamins A, C, D, B-complex, iron, magnesium, zinc, potassium, manganese, choline, calcium and boron. Diuretic, tonic and slightly aperient. It is a general stimulant to the system, but especially to the urinary organs, and is chiefly used in kidney and liver disorders. Diuretic, tonic and slightly aperient, mild laxative. Anemia, Constipation, Gallstones. Kidney and liver disorders, jaundice and the yellowing of the skin that comes with liver dysfunction, cirrhosis, hepatitis and liver disease. Encourages normal digestion. Do not use dandelion for longer than six weeks at a time. Dandelion may intensify the blood sugar-lowering effect of the diabetes drug, glipizide. Use with caution. If taken in large quantities (much more than commonly recommended) it may cause a skin rash, diarrhea, heartburn, or stomach discomfort. Stop using the herb if these reactions occur. Avoid if your doctor has advised you that you have a gallbladder problem, a blockage or inflammation of the bile duct, or an obstruction of the bowel (often signaled by persistent constipation or lack of bowel movements). Also, don’t use dandelion during an acute gallstone attack; this requires professional medical treatment.